HD Foundations presents six causes of slab foundation repair problems in and around the Fort Worth, Dallas and Irving, TX areas. If you have slab foundation repair issues, let us know. Any complications you’re having now will only multiply over time so it’s best to get your foundation fixed as soon as you see trouble. In 2017 (as in years past), the slab foundation has been extremely popular. This is the case even though foundation repair problems in Texas do arise from time to time. Because these types of concrete foundations rest directly on the ground, they are prone to some complications. (1) Upheaval in the slab. This can create ordinary complications including uneven floors and walls, and tilting countertops. The best solution is to have contractor come look at your foundation to determine the cause. This kind of substructure can be affected by movement. (2) Creation of foundation cracks. They harm slabs made of concrete and may cause your foundation to separate at the joints. They can make a bit of trouble. Obstacles commonly include crevices that are relatively small, although they can become large. The answer is to call a qualified contractor like HD Foundations and possibly install concrete piers. (3) Settling and sinking in slabs. 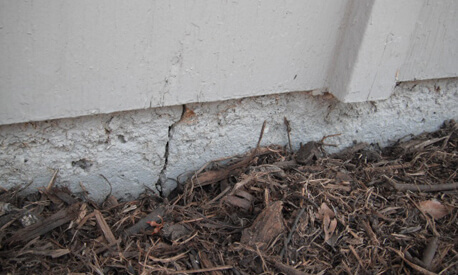 These are both signals that your foundation is experiencing movement and damage is occurring. That could be a trouble. Causes of shifting in your slab can be soil and water. The installation of additional foundation piers would be a good resolution when dealing with this type of substructure. This has been an issue all through the 1900’s and is still affecting us in the 2000’s. Contact HD for slab foundation repair costs. We’ll evaluate your property and provide you with prices. (4) Shims made to last, but failed. Many of these supports are made of low quality material, but don’t endure the conditions. They can frequently be drawbacks. 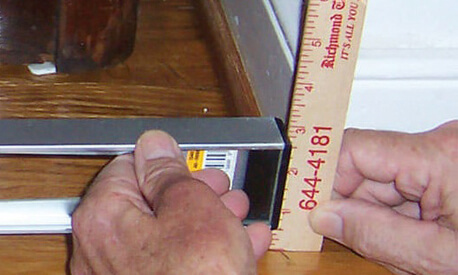 Steel shims are generally used to stabilize this kind of slab and keep it supported. Because they’re strong, they’re a good issue to foundation failure issues. (5) Piers that have shifted. Concrete or steel piers can both collapse over a period of time can create a dilemma. After all, it would be most unusual for them to last forever. You’ll want to make sure your foundation piers and slab are both secure. Robust foundations rarely fail for no good reason. They’ve improved in the past 30 years. (6) Designs made poorly. Inferior concrete foundations can cause slabs severe harm if the concrete was not poured thickly enough. We see this problem in foundations, all the time. A thin concrete slab will not support a foundation because of the load bearing weight of the house. The best solution is to have your foundation inspected by an experienced contractor who can make your structure last. It’s important that it be made correctly. There are a variety of foundations, but his is a good, strong one. So contact HD Foundations in Dallas, Fort Worth or Irving if you have problems. Schedule a free slab foundation repair estimate online today.